Fabinho has lauded the all-action value Roberto Firmino offers to Liverpool’s attacking setup. The Reds’ no.9 has been required to adjust his approach slightly this season in response to Jurgen Klopp moving to a 4-2-3-1 formation on occasion. This has often seen the Brazilian tasked with playing the role of technician behind Mohamed Salah, who has regularly lined up as the team’s central striker. 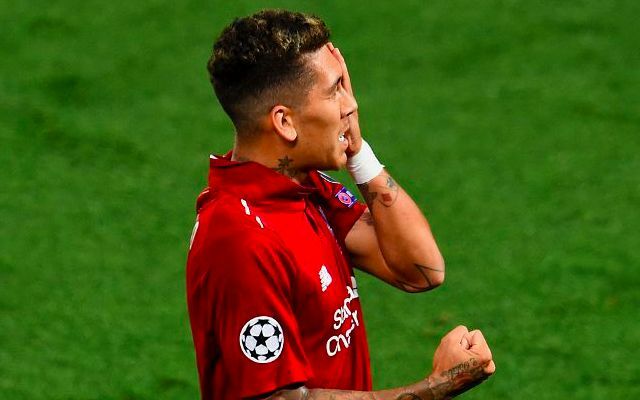 Nevertheless, the variation in positioning on paper hasn’t stopped Firmino, or his teammates for that matter, from retaining the same fluidity and interchanging that saw them become one of Europe’s deadliest attacking forces last season. Firmino started the season relatively slowly in front of goal, scoring just twice in Liverpool’s opening 12 Premier League games. His figures started to pick up upon the arrival of the festive period when he registered two goals and two assists in five games between late November and mid-December. Consistent improvement across the campaign now sees Firmino in his brightest period with a record of four goals in his last four league games, including a hat-trick in the 5-1 win over Arsenal. Besides the goals, he continues to serve as a leading enforcer of Liverpool’s counter-press and the final-third intensity his manager demands. By his high standards, it feels like the best is certainly yet to come this season.